Sports Archery How To Use GoPro Effectively. GoPro cameras have changed the way we capture our world. They’ve allowed glimpses into some of the most inaccessible places humans dare to venture: from the barrel of a huge wave in Hawaii, to a bumper view of a Daytona 500 race car, to a BASE jumper’s point of view when leaping from a tall building. This blog will help you learn How To Use GoPro Effectively. These are images that until recently haven’t been readily available because the specialized equipment needed was out of reach to all but a select few.Now for a couple hundred dollars you can have your own personal adventure camera. Even if you aren’t out there risking life and limb, there are so many fun things to do with your GoPro — let your kids take it to the swimming pool for underwater selfies or mount it on your dog and see what happens. There are tons of mounts available for nearly any structure or surface and you can even make your own. Here are a few mounting ideas that have works well. Putting a GoPro on a really long pole to get a poor man’s drone look. 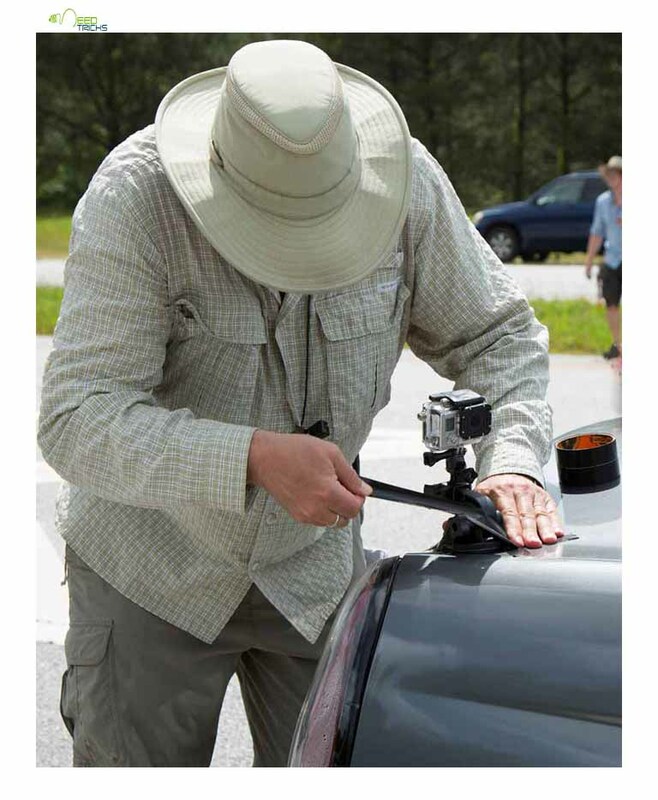 Using an adhesive mount or suction cup to put your camera on the outside of your car. Using the GoPro Jaws Flex Clamp to mount your camera on a tree limb or the side of a ferry boat. Going for a ride with the GoPro mounted to the handlebars of your bike. GoPro 4 and older users ditch the housing case (unless you are in a situation where the camera might get wet). I use the GoPro Frame to eliminate the waterproof housing while still allowing me to use all the cool mounts. You will see improved image quality by eliminating the extra layer of glass between the camera and the world. Just be a little more careful as the camera is a little more fragile without is armored housing. Use Time Lapse mode for action-packed stills. Time Lapse is my favorite mode to capture still images in a fast moving environment. By setting the camera to take a shot every half second, you will ensure you get the best images at the peak of action. I use this mode while whitewater kayaking (with my waterproof housing attached, of course), with the camera mounted on my paddle blade. Use the rear LCD screen to set up shots. I always check the back of the camera to make sure I’m happy with the composition of my scene. If you are going crazy with creative compositions, you might not be able to see the LCD because your camera may in some unimaginable location. Little dust can ruin a great shot and really make you unhappy later. Make sure to clean both the inside and outside of the case, as well as the camera lens itself. When in the water, watch for water droplets on the lens. One drop in the center of your lens can make the best footage look like a blobby mess. Don’t forget the extra batteries. There’s nothing worse than running out of power in the middle of the action. Hero 4 users have the ability to swap batteries in the camera when needed. These batteries are small and very efficient and really expand your capacity to keep shooting. There’s nothing wrong with driving blind and capturing the moment. But if your goal is a quality action short, lack of direction will doom you to mediocrity. Seems obvious, but you’ll only get that perfect shot on the go if you’re familiar with your GoPro. Take the online tutorial before heading into the field, and get a feel for operating the buttons blind. And don’t assume your angle is working. Sticking to one field of view is boring. Chase likes to combine shots mounted from different positions to get a more complete view of what's happening. The GoPro isn’t just a video camera. You can set it to take a photo every second, ten seconds, sixty seconds. Edit those into your video, or make a timelapse as you’re prepping for your shoot, executing an epic trick, or setting up camp. Hope this post on How To Use GoPro Effectively will help you in creating viral videos. Comment your videos to us and also dont forget to like and share.